Together with our donors and partners, we are creating a better quality of life for people with developmental disabilities. The Arc Angel Society is our Leadership Giving society for individuals that make an exceptional commitment of $3,000 or more to our clients and mission. Arc Angel gifts may be paid over a one, two or three year period.  Multi-year pledges are of great help to The Arc San Francisco, allowing us to plan beyond the current year to provide the vital employment, continuing education, health care and independent living services our clients need. 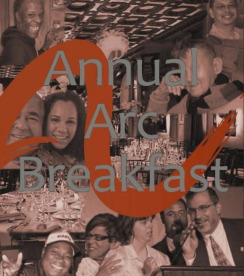 For more information about the Arc Angel Society and our events, contact Marti Sullivan, Chief Development Officer, msullivan@thearcsf.org, (415) 255-7200 x119. These Bay Area community partners are local and national corporations that make important contributions of $1,000 or more toward sustaining and improving our services for people with developmental disabilities. There are five levels of partnership: Circle(s) of Inclusion, Dignity, Equality, Community and Independence. For more information or to become a Corporate Circle Sponsor, email Marti Sullivan, Director of Development and Community Relations (415) 255-7200 x119.